Since this is become more and more important for SQL Azure DB I am writing about 'Security Features in SQL Azure DB'. I will put everything in a list and links for all features. b) This link explain about: Firewall, Connection encryption and certificate validation, and some best Practices. b) This link bring few other links of the FW issue and connection Ports. i)TDE - Transparent Data Encryption: https://msdn.microsoft.com/en-us/library/dn948096.aspx. This is encryption in files level. 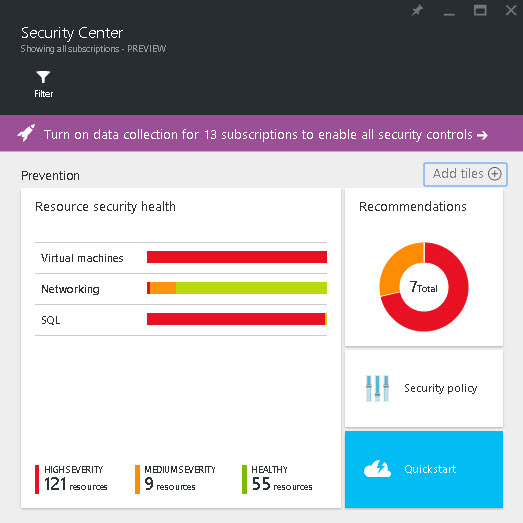 ii)Always Encrypted: https://azure.microsoft.com/en-us/blog/microsoft-azure-sql-database-provides-unparalleled-data-security-in-the-cloud-with-always-encrypted/ & https://msdn.microsoft.com/en-us/library/mt163865.aspx . This is encryption in filed level. iii)Dynamic Data Masking: https://azure.microsoft.com/en-us/documentation/articles/sql-database-dynamic-data-masking-get-started-portal/ . 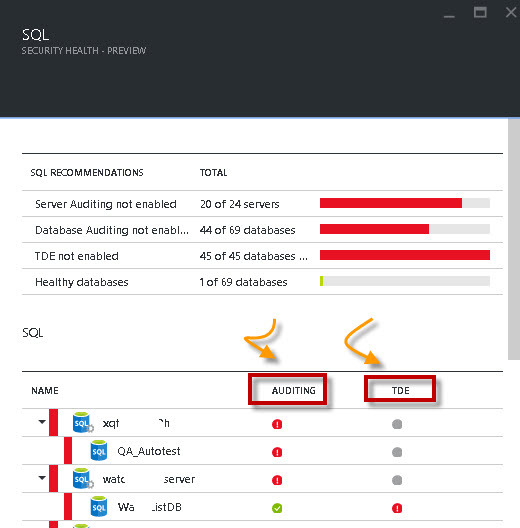 i) Auditing: https://azure.microsoft.com/en-us/documentation/articles/sql-database-auditing-get-started/ I love this feature…. i)We can delete DB's via portal – so we need to understand the concept of RBAC: https://azure.microsoft.com/en-us/documentation/articles/role-based-access-control-configure/ & look for SQL in https://azure.microsoft.com/en-us/documentation/articles/role-based-access-built-in-roles/. what the suggest now is the auditing and TDE features - if we enabled or disabled them.